Flip a coin. If tails, The Defending Pokemon is now Asleep and Paralyzed. 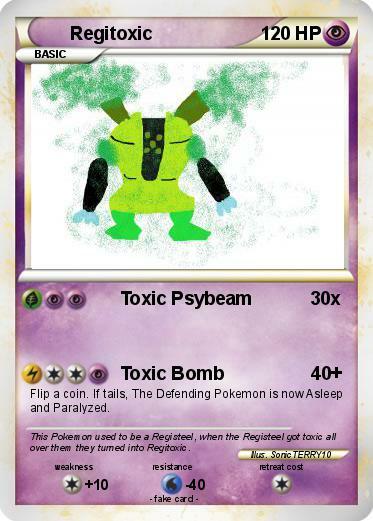 Comments : This Pokemon used to be a Registeel, when the Registeel got toxic all over them they turned into Regitoxic.